This planner features one week of daily memo space on each two-page spread. Useful tools are also included: a business expense ledger, United State Postal information and more. 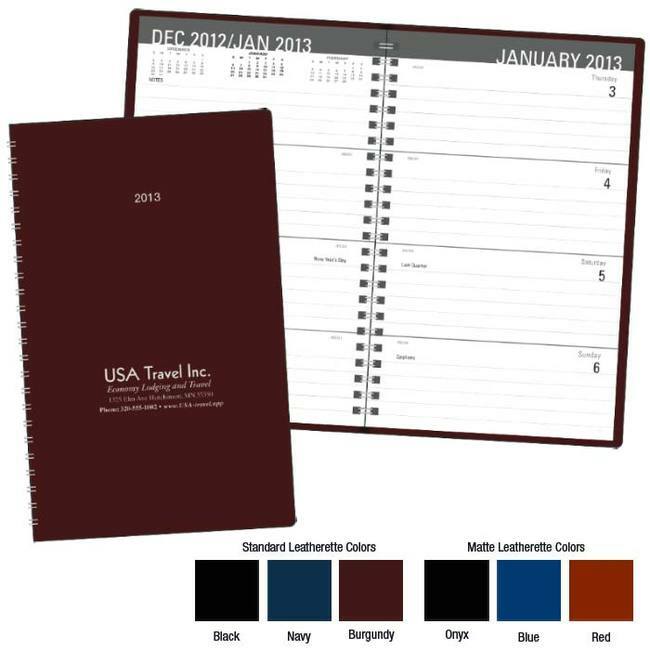 Yearly Calendar Year is included as standard copy on front cover. Prices may vary.